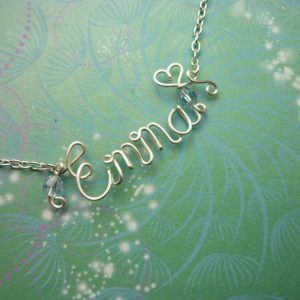 Our name necklaces our lovingly handcrafted, shaped and curved to spell out your name or message with flourishes that will be uniquely yours. 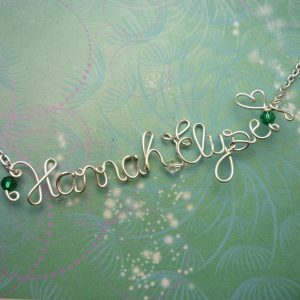 When you purchase your necklace you can choose the bead colour and the name you would like created. These necklaces make a perfect gift for friends and family with unusual names who often can?t find ?personalised? jewellery that?s as original as they are. We offer both regular and long-length chains for proudly displaying your message or name. 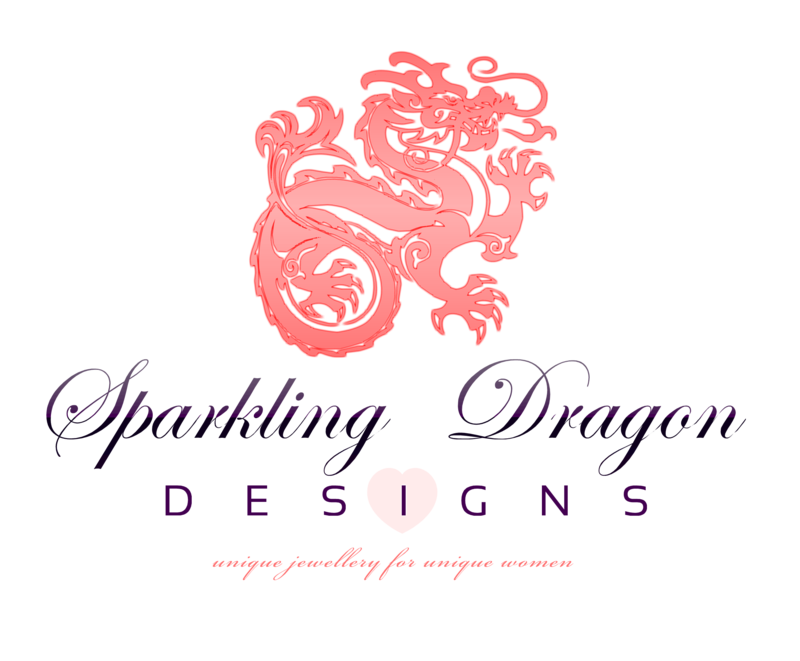 Sparkling Dragon Designs wire name necklaces our lovingly handcrafted, shaped and curved to spell out names or messages with flourishes that are truly unique. 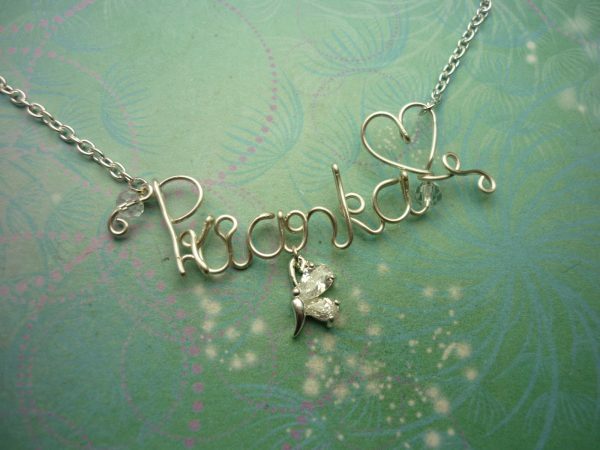 This listing is for a Silver Plated Name Necklace with a CZ Butterfly Charm as pictured. Your necklace comes gift wrapped in an organza bag. If you have any questions please contact me though this page. The total necklace length is about 43cm. The length of the name or word makes the chain length slightly variable, I try to make the necklaces hang at an attractive length. Of course please let me know if you would like a longer necklace for a larger person or a shorter necklace for a younger person. 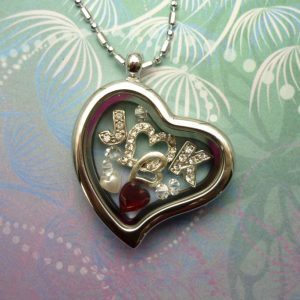 These necklaces make the perfect gift for mothers, daughters, sisters, friends, girlfriends, wives, brides, bridesmaids, granddaughters anyone! 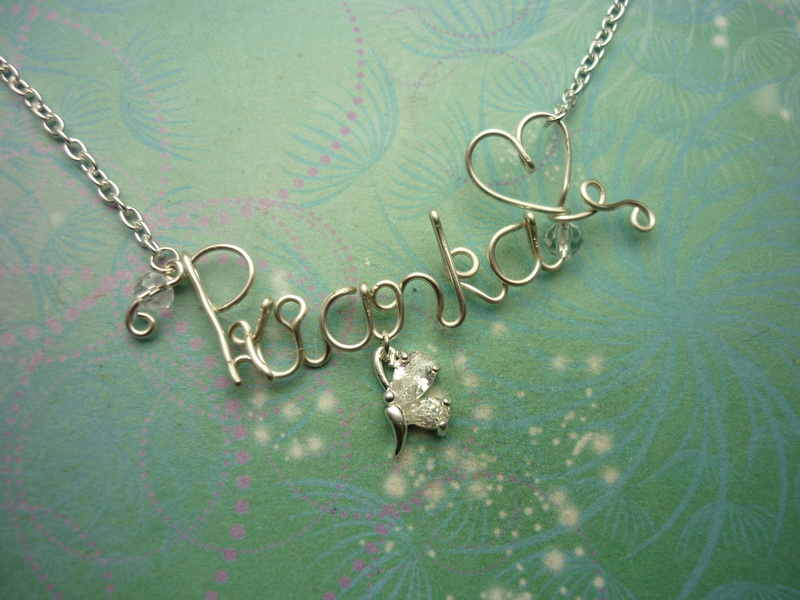 You can order a custom Wire Written Name/Word Necklace personalised with the name or word of your choice. Show off who you love, your nickname or a quirky word with this special necklace. These necklaces, though delicate looking, are fairly sturdy but do have a bit of flexibility to them, so please be a little gentile when wearing them. When you place your order you can then message with the name you would like on the necklace and the bead colour.